The most romantic day of the year is just around the corner; Valentine’s day! Looking to surprise your loved one with some live-music entertainment? Maybe you’re throwing a party and need the best artists your money can buy? 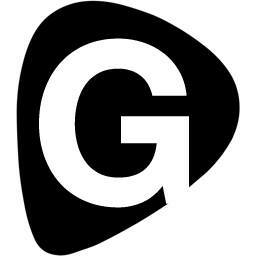 Gigstarter has the database you’re looking for. Here are a few great examples of artists that’ll turn your regular old February 14th into an exciting and promising Valentine’s day! A Scottish singer-songwriter, ready to release new music in 2019. The Scotsman is a very talented musician that plays and writes his own music. With his global following, he knows how to enchant people from all around the world. Check him out for your Valentine’s day event! We know he’ll be able to add that loving feeling you’d want for your romantic get-together. One of the most romantic instruments must be the piano. The Royal Piano show are a first class, international band that can make your Valentine’s day unforgettable with their two pianos on stage! The act anticipates their guests’ every need, and they love to sing and entertain your loved one(s). An instrumental serenade is a popular option on Valentine’s Day as well. Edina Balczo is a professional Spanish/Flamenco guitarist, with over 15 years of experience. Her arrangement, performances on solo guitar and guitar lessons hit about 8 million views on YouTube. Let this great Spanish sound flourish at your event!